MARCH 30 saw over 40 different restoration societies and 116 individuals come together in Wolverhampton for the seventh annual Canal Restoration Conference jointly hosted by The Inland Waterways Association (IWA) and Canal & River Trust. This year’s conference was entitled ‘Relining Your Pockets’ and focused primarily on how to source and secure funding for a restoration project. One of the keynote speakers was Liz Shaw from the National Lottery Heritage Fund who gave a very interesting presentation on new funding frameworks and how restoration societies could bid for grants of between £3,000 and £5 million. 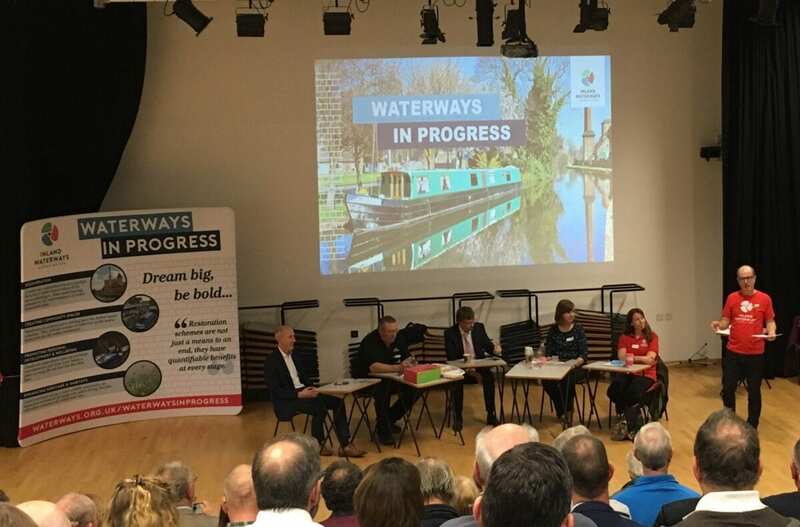 At the event, Waterway Recovery Group chairman, Mike Palmer, launched the IWA’s latest report, which aims to provide restoration societies with case studies that show the wide-reaching benefits that a canal restoration can bring to a local area. The Waterways in Progress report highlights the fact that a canal restoration doesn’t need to be completed in order to have a positive impact both economically and socially, it starts to give back to the community right from day one. Attendees at the conference were among the first to see the Waterways in Progress video, which is introduced by IWA Vice President, David Suchet. The video can be used by all restoration societies to support the Waterways in Progress report and standalone case studies. Steve Higham, Head of Service, Partner & Outcomes Development at the Canal & River Trust spoke about the positive mental health and wellbeing benefits of volunteering and being involved in canal restoration. The Trust has done a great deal of research into the value of being close to waterways as well as the motivation behind volunteering. Steve played a moving video about a young man called Bernard whose life has been turned around thanks to his volunteering role with the Trust. In addition to the keynote speakers, there were six breakout sessions which looked at many of the different areas around securing funding and running a successful restoration project. Topics included the importance of community engagement including how to use the media to raise awareness of your projects; how to build relationships with funders; what funders are looking for in a grant application; how to add value to your grant by running archive projects; and how to set up your organisation correctly in order to maximise grant potential. Presenters had a wealth of experience which was readily shared and active discussion took place between attendees. The day ended with a Funding Q&A session, where restoration societies were able to receive specific advice from the funding experts for their individual projects. 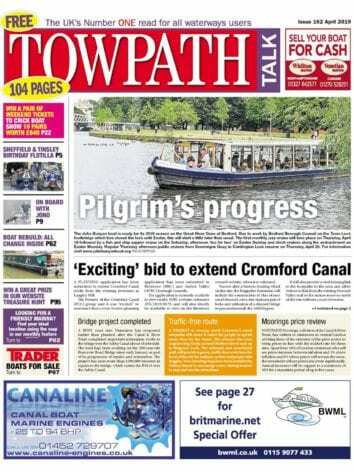 Feedback has been extremely positive and both IWA and Canal & River Trust are looking forward to next year.